Click the button below to add the Rough and Bumpy Skin Lotion to your wish list. Rescue from Those Annoying Bumps, Rough Dry Patches and More. Do you have little red bumps, chicken skin, rough dry patches, or keratosis pilaris on the back of your arms, thighs or elsewhere on your body? Ordinary lotions for this can be made with acids like salicylic acid or alpha-hydroxy acid which are supposed to exfoliate or remove skin. Instead of using harsh chemical ingredients, our lotion is made with creamy nutritive emollients that help retain moisture in your skin, making it feel soft and smooth. This formula smooths and softens your skin as it helps to gently, naturally unclog pores to reveal bump free looking skin. Formulated with Aloe Vera and unique natural moisturizers such as Murumuru Butter, Apricot Kernel and Karanja that condition even the roughest, bumpy dry skin. The lotion is designed with nature’s best moisturizers that can help continuously fight dryness all day and night to soothe and soften your skin. Peppermint essential oil provides a refreshing scent. I'm 39 and I've never been diagnosed with keratosis but I think that is what I have. I decided to look for something that was made with natural ingredients and came across this and went ahead... and oh my! It took almost a week and a half or so to start seeing any change, but after that I swear it started to get better each day. I feel such relief and hope that this will continue to make my skin smooth and soft. Rough and bumpy skin can be frustrating and embarrassing, and it requires more than an ordinary lotion. We have a simple solution for your rough and bumpy skin with this lotion that contains a gentle yet effective combination of intensive moisturizers to smooth and soften dry, rough, bumpy skin and patches. Formulated with a combination of essential oils to help you achieve the smooth looking skin you desire. No Salicylic Acid, No Alpha-Hydroxy Acids, No Mineral Oil, No Petrolatum, No Silicone, No Parabens, No Artificial Color. This is an incredible lotion for bumps and dry spots. This removes bumps leaves my skin smooth like before. I have sensitive skin and love what the ingredients in this. Finally, the best lotion for very dry bumpy skin. This stuff really works. I'm really pleasantly surprised by the awesome results. I've had the little bumps on my legs for years, and hated wearing short pants or anything that showed my legs. After using this every day for a few weeks, I noticed a wonderful improvement. Love the peppermint scent too. Thanks!! This lotion is a long-lasting moisturizer that is easy to apply and quickly absorbed. Made without artificial colors, fragrances or parabens. 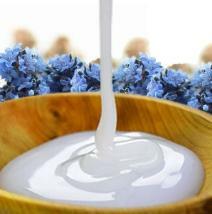 It is as gentle as it is effective on even the most delicate skin. Peppermint Essential oil has anti-inflammatory properties to help calm and smooth. Aloe Vera moisturizes the skin, reduces the appearance of breakouts and lightens blemishes. Murumuru Butter has oleic acid that helps restore skin elasticity and texture. Apricot Kernel Oil moisturizes, nourishes and lubricates the skin. Karanja Oil is a nutritive antiseptic that helps control and eliminates blemishes. 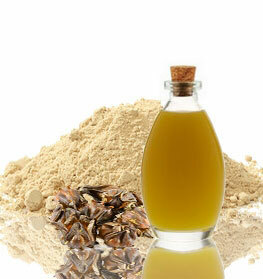 Grapeseed Oil is non-comedogenic and helps treat breakouts, tighten skin and moisturize. Use daily and reapply to dry, flaky or rough body skin areas as needed. • Lock in moisture in your skin by applying the lotion after showering. • This lotion can be applied to the skin daily. • This lotion works great for bumpy and rough skin. Aloe barbadensis (Aloe Vera Hydrosol), Astrocaryum murumuru (Murumuru) Butter, Prunus armeniaca (Apricot Kernel) Oil, Pongamia glabra (Karanja) Oil, Caprylic/Capric Triglyceride (Coconut Fractionated) Oil, Vitis vinifera (Grapeseed) Oil, Butyrospermum parkii (Shea) Butter, Myrica Cerifera Fruit Wax (Bayberry Fruit) Wax, Cetyl Alcohol, Glyceryl Stearate SE, Glyceryl Caprylate, Sodium Lauroyl Lactylate, Limnanthes alba (Meadowfoam) Oil, Glyceryl Undecylenate, Caprylyl Glycol, Glycerin, Mentha piperita (Peppermint) Oil, Mentha spicata (Spearmint) Oil, Lavandula angustifolia (Lavender) Oil. At last, a solution for the horribly dry, bumpy skin that I have been plagued with in recent years. I tried so many different products, including coconut oil, but nothing worked until now. Within a few weeks of using this lotion my skin rapidly reduced in bumps. My skin is now clear, soft, and ridiculously smooth. Yay! This is a very rich and emollient nutritive moisturizer that works to get rid of skin bumps! And, it will soften your skin. I pay particular attention to the back of my arms where I have the most bumps. It’s not cheap but it’s a small price to pay for a great lotion when you need more than moisturizing, y'all. Not only does my skin look great, but I feel great in my skin now too! I'm usually disappointed with the results of products. I often feel like my skin can't breathe after applying them. That is not been my experience with this Smoothing Lotion. I've been using this lotion for about a month now on my elbows and legs where my skin tends to get rough. Those bumps and rough areas slowly went away and now I have no issues at all. It makes me feel healthier too, almost like my skin can breathe again. This stuff is amazing! It has made my skin very supple and smooth. These keratosis pilaris bumps were really bothering me and within a few weeks of using this smoothing lotion I could see and feel an improvement. It doesn't irritate skin and feels like it is actually smoothing out your skin when you apply it. I will continue to use this product because it really works and I love that it is nutritive . This stuff has saved my skin and given me back my quality of life. I have been using this Rough and Bumpy lotion and it really helps with my KP. It gets rid of my Keratosis pilaris and makes my skin so soft. This product is excellent! If you do research you will see that too much keratin causes skin problems like the chicken skin that I have. It looks like tiny bumps (chicken skin) that are heaviest along back of my arms. I went to my doctor who prescribed a medication but it had just gotten worse. This all nutritive lotion does a fantastic job of smoothing my skin. The results are superb and my skin finally looks great. One of the best, best, best most useful products in my life. It was a fluke that I bought this. Holy cow am I glad I did. Seriously. I can't stress this enough. And I've only been using it for two weeks and I have seen results. The doctors never seemed to know what to do, so eventually I gave up and tried everything under the sun to fix my skin that I could find. My skin has never looked so good, nor felt so good in all my life! I was AMAZED at how quickly this lotion helped. I've been using this bumpy skin lotion and the clear body soap for 3 weeks, and I already see a HUGE difference in my skin's texture. My entire life I had no problems with skin lesions pimples of any kind and actually was told how beautiful my skin was. It was oily, but I did not break out. This bumpy skin disorder is not pimples and was told treatments would not help me. I am stunned and so thankful for this products. I have chicken skin bumps (kp) or should say I did have chicken skin. I have never found a lotion that actually gets rid of the problem. So I was skeptical of this product but decided to use it once a day on the problem areas. It's an easy process every day and I got amazing results. I am not exaggerating when I say that my skin is now smooth! This will be a regular purchase for me. I've been using this lotion for about a month now on my elbows and legs where my skin tends to get rough. Those bumps and rough areas slowly went away and now I have no issues at all. It makes me feel healthier too, almost like my skin can breathe again. My girls and I started using this cream last week. My 10 year old is very faired skinned and during the winter her legs and arms get so dry and she tends to get Keritosis. This has been helping. I have acne at my scalp line on my neck and this in one week, only applying 3 times has really helped! We will continue to use it. I have been using salicylic acid product and it helped heal my kp skin but I didn't want the salicylic acid anymore. I found this product that has healed my kp, has no salicylic acid, and smells great. I use this as a daily face lotion because I love the refreshing tingling peppermint, I can feel it working, and it does a great job keeping my face clear! I also use it anywhere I start getting irritation bumps, and it helps clear them right up. I love the smell, and that it’s all natural, so refreshing. I just ordered my third bottle, my last one lasted me like 5 months! I have been using a week now and it is working and I will keep using. Best thing for keratosis pilaris! My daughter suffers from pretty severe keratosis polaris over much of her body. This lotion has been great! We have tried many different products, including prescription lotions, but have not been happy. She is able to use this on face, neck, arms, back & legs without it being sticky or smelling bad AND it works! It has been the best option we have found in years! The fact that it has natural ingredients only makes me love it more! I have only been using this lotion for one week and I am beginning to see results. The appearance of redness and bumps are fading on my arms and thighs. The peppermint smell is nice too. I use this twice a day on arms for keratosis pilaris and it works well. I use it after exfoliation every night and the peppermint is very soothing. Has done wonders for the bumps. i suffer from keratosis pilaris and this is the ONLY thing that has EVER smoothed out my skin. I will forever have this in my beauty routine. please don't stop making this.